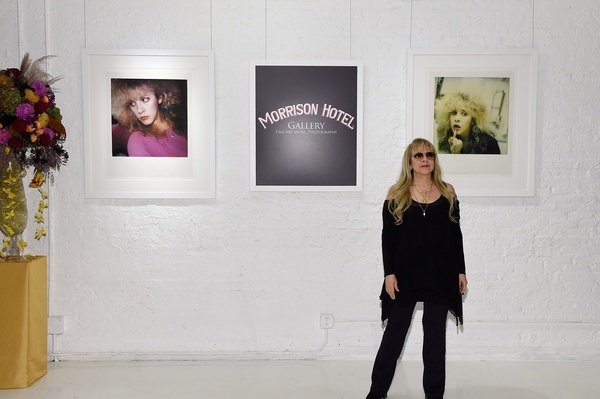 We are pleased to announce a very special exhibition and sale, Stevie Nicks, 24 Karat Gold, The Self Portrait Collection. The exhibition will be on display at the Morrison Hotel Gallery's West Hollywood location this weekend from Friday, November 28th - Tuesday, December 2. The gallery is located in the Sunset Marquis Hotel at 1200 Alta Loma Road, West Hollywood, CA 90069. Parking at Sunset Millenium Parking lot, enter via Sunset Blvd towards Alta Roma Rd. Please contact the gallery at 310-881-6025. Click here to order prints online.